Amazon unveiled plans on Tuesday for a major expansion in Boston's Seaport District, promising 2,000 new technology jobs even as the city remains in contention for the company's coveted second headquarters. 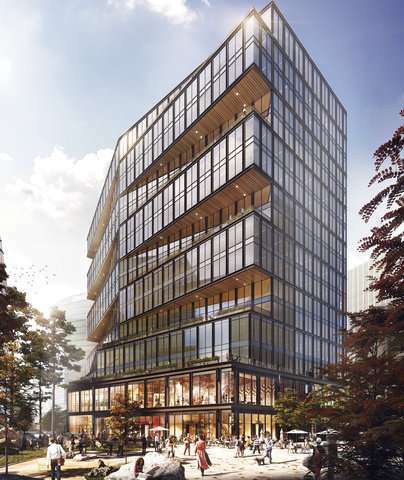 Seattle-based Amazon announced it would move into a 430,000-square-foot "Tech Hub" in 2021, and said the new jobs would be created in fields including machine learning, speech science, cloud computing, and robotics. The company currently has about 1,200 workers in the city, according to Rohit Prasad, a Boston-based vice president and head scientist of Amazon Alexa. In 2016, the company opened a fulfillment center in Fall River, Massachusetts, that employs more than one thousand workers. The Seaport district fell largely into decay and disuse in the middle part of the 20th century before being transforming in recent decades into a center for cutting-edge technology firms. Republican Gov. Charlie Baker and Democratic Boston Mayor Marty Walsh both celebrated Amazon's decision, with Walsh labeling it a strong vote of confidence for the city. "It's great news for Boston that Amazon is expanding its footprint in the Seaport, bringing new jobs and economic opportunities to our city," Walsh said in a statement. Critics have said Boston residents and particularly those who live in predominantly minority neighborhoods have been largely shut out of the Seaport boom. Amazon said in its statement that construction of the new office space would generate funding for job training programs that prepare local residents for technology jobs. In January, Amazon placed Boston among 20 finalists to host the company's second North American headquarters, and Tuesday's announcement does not preclude the city from contention for the $5 billion project that the e-commerce giant has said would create some 50,000 jobs over the next decade. The city's preferred site for the larger project is Suffolk Downs, a former horse racing venue in the East Boston neighborhood, near Logan International Airport. But other sites are being considered as well, including one in the neighboring city of Somerville.